Welcome to Part-time studies at MGA! MGA groups and classes offer exceptional performing arts training, and lots of opportunities to meet new people and build up your self confidence. Hard work, determination, ambition and above all a great sense of humour are encouraged in all our students by our team of world-class teachers and visiting industry experts. Alongside regular classes and groups, Part-time students may be invited to participate in one-off workshops led by visiting professional performers, directors, choreographers, agents and practitioners. Many of our younger students also choose to extend their training through the summer by coming back for the MGA Summer School. There are opportunities to perform throughout the year for members of Stage Academies and Stage Academinis, including at the MGA annual Christmas extravaganza held at the Usher Hall, when MGA students come together to spread Christmas cheer through music and dance! Junior School students may also participate in fundraising activities, Academy events and end-of-term presentations. Students enrolled in the Junior School are represented by our in-house, agency, MGA Management and may be submitted for any suitable professional engagements that arise. We are enormously proud of our younger students who have successfully auditioned to perform in professional engagements in TV, film and on stage.  MGA is extremely proud to be Scotland’s first and only CDMT-accredited Performing Arts school for our full-time training. CDMT ensures the provision of high quality professional training through recognition and accreditation of full-time dance, drama and musical theatre schools and colleges, and has provided the industry benchmark of quality assurance for professional training in the UK since 1979. MGA’s part-time school has Recognised School status. A Recognised School is a pre or non-vocational dance, drama or musical theatre school that is committed to putting the safety of its pupils first and meets the following nine requirements of good professional practice. CDMT schools are distinct from the large numbers of unregulated dance and drama schools operating throughout the country – they are committed to professional practice, safety and student wellbeing. The Recognised School mark demonstrates to students, parents, and guardians that they adhere to the standards demanded by the industry and standards designed to protect and safeguard young people whether dancing for leisure or with an eye to a career in the profession. MGA’s winning combination of attributes has proved hugely successful and is evident in the destinations of the students who come through our Junior School groups. The MGA Academy of Performing Arts has a Child Protection Policy in place, and a wonderful Parents and Guardians Association, who provide much needed help and support across all aspects of our Junior School’s life! The Junior School groups here at MGA are coordinated by our fantastic Principal, Kristofer Harding. He is supported not only by our tutors and consultants but also by a team of parents and guardians who give up their time and energy to support all our projects here at MGA. With meetings held once a month, any parent or guardian who wishes to attend is made most welcome. Meetings are a chance to find out what plans are being made for the future and what events are coming up in which they could be involved. The MGA Junior School is much more than just somewhere young students come to spend their spare time! It is a whole world of opportunities (on-and-off the stage) for both the individual student and their entire family. If you would like more information on the MGA PGA please don’t hesitate to contact us. We would love to welcome you to our next meeting.